Those who hate capitalism, scorn the Founding, and assume that Western civilization is inherently villainous or oppressive will be persuaded they are wrong only by arguments on terms they accept. And today, those terms are secular, often atheist, materialistic, Darwinian, and utilitarian. So let’s meet them on their turf. Joshua Greene of Harvard’s Moral Cognition Laboratory offers a useful thought experiment (which I’ve modified slightly). Imagine you were an alien monitoring the progress of Homo sapiens on backwater Earth, visiting once every 10,000 years. Visit 1: Bands of semi-hairless, upright, nomadic apes foraging and fighting for food. Visit 2: Bands of semi-hairless, upright, nomadic apes foraging and fighting for food. No change. Visit 3: Bands of semi-hairless, upright, nomadic apes foraging and fighting for food. No change. You’d write virtually the same thing roughly 23 times over 230,000 years, a few modestly interesting details about changes in migration, diet, and crude tools notwithstanding. On the 24th visit, you’d note some remarkable developments. Many scattered human populations have discovered basic agriculture and animal domestication. Some use metal for weapons and tools. Clay pottery has advanced considerably. Rudimentary mud and grass shelters dot some landscapes (introducing a fairly recent concept in human history: the home). But there are no roads, no stone buildings. Still, an impressive advance in such a short time: merely 100 centuries. Returning 10,000 years later, your spaceship would doubtless get spotted by NORAD. You might even arrive in time to see Janet Jackson’s Super Bowl wardrobe malfunction. In short: Nearly all of humanity’s progress has transpired in the last 10,000 years. But even this is misleading. It’s like saying that the combined net worth of Jeff Bezos, Mark Zuckerberg, and me exceeds $150 billion. For 97 percent of that 10,000 years, nearly all of humanity lived in squalor. If the Garden of Eden existed, it was a slum. I say “Miracle” because it evokes a glorious but inexplicable mystery, not because it was bequeathed by the Almighty (if God intended us to have free markets and property rights and democracy, He sure waited a while to bequeath them). Nobody knows why the Miracle happened. Or, more accurately, no one can agree on why it happened. Marxists credit surplus capital derived from the industrial revolution, slavery, imperialism, and so on. Others attribute it to the scientific revolution or the Protestant Reformation. I address these theories in my new book Suicide of the West. But in brief: While some factor greatly in the story, none can sufficiently demystify the Miracle. Ultimately, no theory of the Miracle alters its accidental nature. Marx’s “science” of historical inevitability is nonsense, an appeal to authority equivalent to invoking divine providence. Marxist development theories are deus ex machina arguments sans deus. Even so, Marxism itself concedes that human will didn’t create liberal-democratic capitalism; rather, the theory claims it’s an epiphenomenon arising from the dialectical clash of inevitable historical forces. Or consider a more plausible theory, associated with Max Weber’s The Protestant Ethic and the Spirit of Capitalism: Capitalism emerged from a Reformation-initiated theological reorientation, specifically among some Puritan sects. These pious Protestants modeled certain virtues — “thrift,” “delayed gratification,” “industriousness” — that eventually created the surplus capital to jump-start industry. Like Christianity generally, Protestantism surely helped enable the Miracle, but this theory is wrong — or at least insufficiently right. John Calvin didn’t invent thrift or hard work. But, as with Marxism, the Weberian thesis is correct: Capitalism is still an accident. Puritan preachers didn’t hawk a “prosperity gospel.” Indeed, they preached nearly the opposite: that if you lived piously and honestly it might signify you were among the Elect destined for Heaven. It just turned out that this guidance also made you likelier to become wealthy. Thus, the Weberian thesis (which Weber later rejected) holds that capitalism was an accidental unintended by-product of the Protestant ethic. What is true of physical things is also true of civilizations. And the termite threatening the Miracle’s foundations is human nature itself. Today, we understand corruption as petty graft or bribery. This barely shows the deep cultural significance the concept once held. Before the scientific revolution, corruption was one of life’s central metaphors. When food rotted, when wounds were infected, it was corruption, because nature reclaimed what was hers. Tribalism explains why liberals decry the anti-Semitism of David Duke or the alt-right but meekly excuse Louis Farrakhan, why Evangelicals excused Roy Moore while pushing Al Franken from the Senate. And it explains why many conservatives have changed many longstanding positions to accommodate President Trump. Trump is in the tribe. Indeed, he’s created his own tribe, in which he’s a symbol, a totem, an avatar of the tribal us. That is why many of his supporters insist that insulting him is insulting them. For the Left, and for some on the right, the dogma-bending power of this personality cult was shocking. But the often messianic devotion to Barack Obama also stunned the Right. That’s the thing about the coalition instinct: Inside the tribe, you’ll think the rules differ for your teammates. A video at the 2012 Democratic National Convention proclaimed that “government is the only thing we all belong to.” For conservatives, this was Orwellian. But for many Americans, it was an invitation to belong. That was the subtext of “The Life of Julia” and President Obama’s call for Americans to emulate SEAL Team Six and strive in unison — towards his goals. This points to the greatest, but not the only, threat human nature poses. Because the Miracle is unnatural, unless we’re properly civilized to understand and appreciate it, we look to restore what instinctively feels natural. As individualism feels more atomizing and alienating, the siren song of the group, the tribe, or the gang becomes increasingly seductive. We evolved to hate inequality because group survival required sharing resources. But envy is a deadly sin for a reason, and when a civilization surrenders to it, the Miracle dies. When people say that the government or the nation is — or should be — like a family (or a military unit or any other microcosmic group), they argue for erasing everything that enables the Miracle. But that is what people crave today. I find economic historian Deirdre McCloskey’s explanation for the Miracle most persuasive, even if I quibble with it somewhat. Why did the Miracle happen? We talked ourselves into it. Words (or rhetoric) changed; we changed with them. What McCloskey calls “bourgeois virtues” were vices until John Locke’s time. Innovation, viewed suspiciously by every ruling class worldwide historically, was sinful in Europe for millennia for challenging the established order of throne, altar, and guild. Then, suddenly, that changed because the way we talked about ourselves changed. The Lockean ideas that our rights come from God, not government, that we’re citizens, not subjects, that the fruits of our labors belong to us, because the individual — not the state or tribe or class — was sovereign took hold not just among a few scattered philosophers such as Locke and Adam Smith, but among the people. It was a cultural revolution that happened in only one place and time, in England (and, to be fair, Holland). The American Founding’s glory is that those English colonists took their cousins’ tradition, purified it into a political ideology, and extended it farther than the English ever dreamed. And they wrote it down, thank God. The Founding didn’t apply these principles as universally as its rhetoric implied. But that rhetoric was transformative. When the Declaration of Independence was written, some dismissed the beginning as flowery boilerplate; what mattered was the ending: Independence! But the boilerplate became a creed, and America’s story is the story of that creed — those mere words — unfolding to its logical conclusion. That is what Lincoln did at Gettysburg when he reconceived the meaning of America, what Martin Luther King Jr. appealed to when he called on Americans to live up to their own story’s highest principles. A civilization is simply a story: the story the people tell themselves about themselves. It was true then and remains true today. We have a choice. 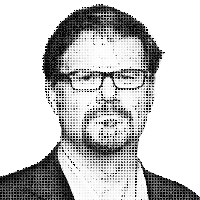 — This essay is adapted from Jonah Goldberg’s new book, Suicide of the West: How the Rebirth of Tribalism, Populism, Nationalism, and Identity Politics Is Destroying American Democracy.